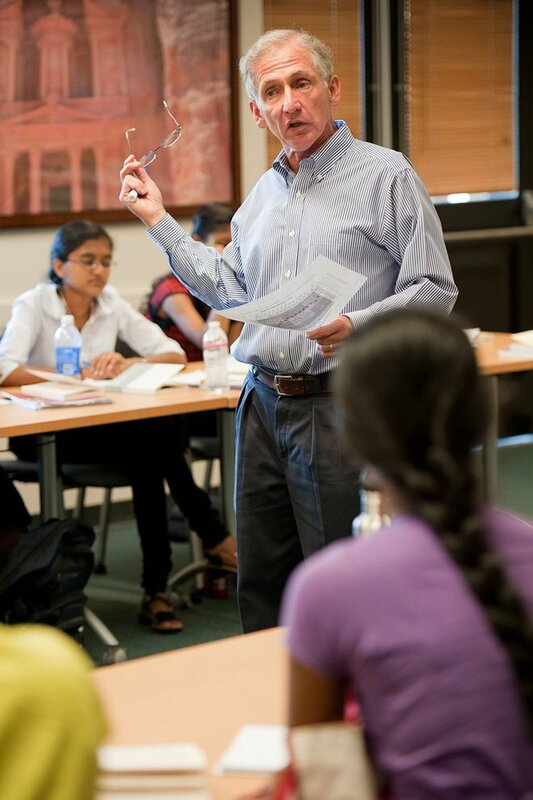 Dean Richard Saller is stepping down to teach full-time next fall (LINDA A. CICERO/Stanford News). Kleinheinz Family Professor of European Studies Richard Saller announced that he will step down as dean of the School of Humanities and Sciences (H&S) on Sept. 1, 2018 and return to teaching full-time at Stanford. Provost Persis Drell will soon form a committee to conduct an international search for his successor. University President Marc Tessier-Lavigne told Stanford News that Saller’s decade-long legacy as dean will forever be rooted in his strategic oversight, commitment to mentorship and high standards for faculty recruitment. Major physical expansion of the University occurred under Saller’s leadership as he oversaw the construction of the Sapp Center for Science Teaching and Learning as well as a Stanford “arts district” that includes Bing Concert Hall, the Anderson Collection and the McMurtry Building for the Department of Art and Art History. Saller also grew Stanford’s endowed graduate fellowships by 153 percent, putting an emphasis on attracting and supporting the most talented students across a wide variety of fields, many of them interdisciplinary. Over the course of his tenure, H&S saw a 26 percent increase in faculty who hold endowed chairs. Saller also worked to diversify the faculty — an area in which Stanford has drawn scrutiny — growing the H&S minority faculty by 22 percent from when he began as dean as in 2016. Prior to his time at Stanford, Saller spent 22 years at the University of Chicago, the last five of which he served as provost. There, he also served as dean of the social sciences division and was a distinguished service professor. He has also held teaching positions at Swarthmore College and Jesus College, Cambridge. Saller will teach as a faculty member in the Departments of Classics and History come next fall.